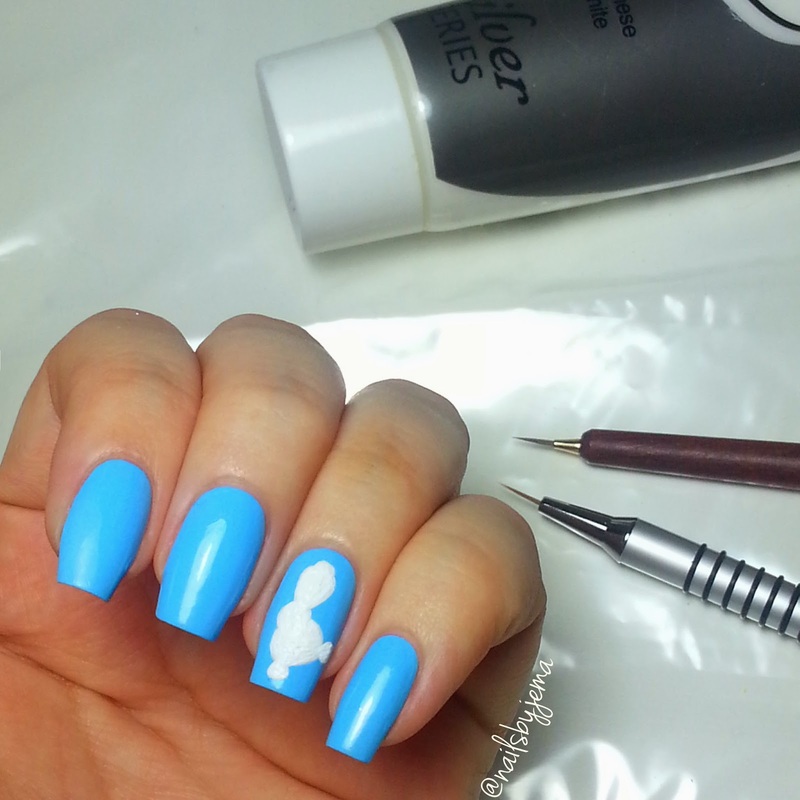 Base is China Glaze 'Bahamian Escape' & everything else was done with acrylic paint and my Edinburgh Realism M0 brush from @faburnails :) topped with Sally Hansen 'Big Matte Top Coat'. I wasn't happy with the flowers and thought I could make them cuter so I added a texture gradient! And I think they compliment Olaf so well. I used OPI 'Tiffany Case' and 'Solitaire' for the gradient and I really love how it turned out. Taking these off is going to be hard a) because they're textured & removing texture polish is always time consuming and b) because I like the colours so much & Olaf is one of the favorite things I've ever painted. Also my first ever texture gradient. So much easier than expected! The technique is the same as a normal gradient with a makeup sponge, but imperfections are hidden by the texture so it was a lot easier for me. I used my home made liquid tape for clean up. 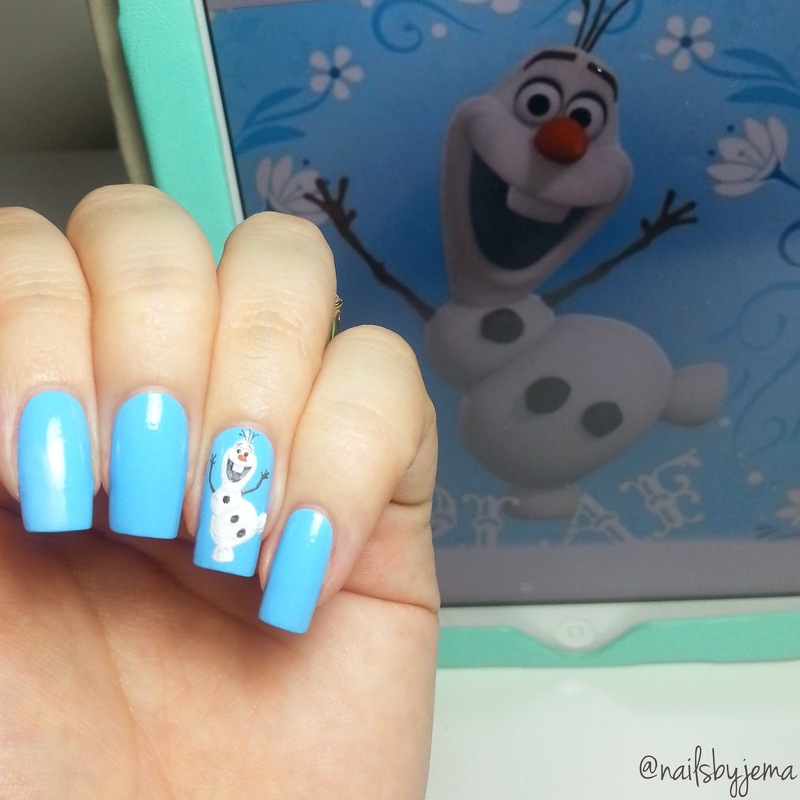 Do you love Frozen? 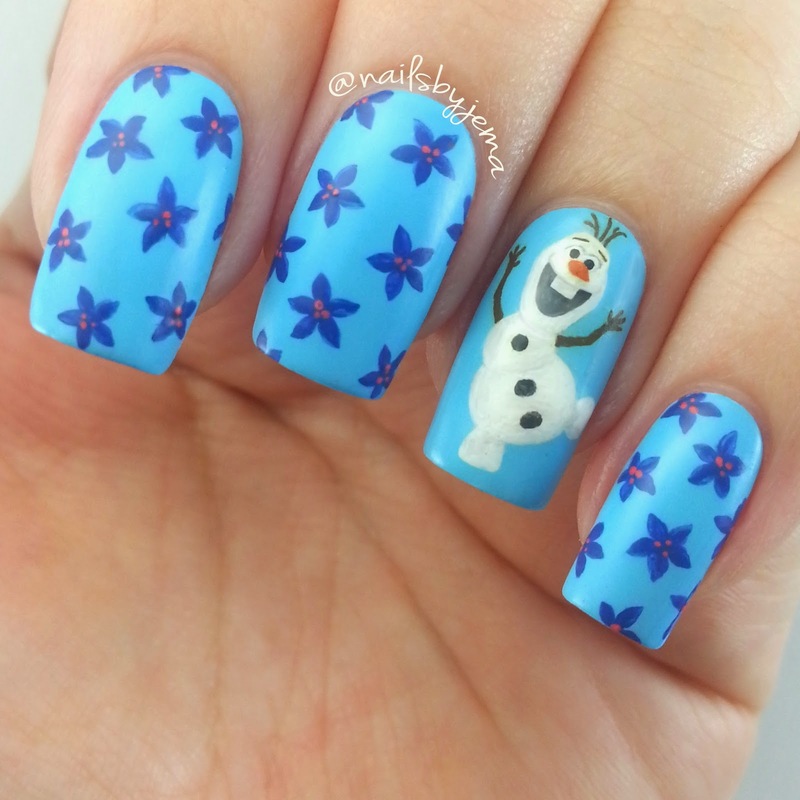 Are you as obsessed with Olaf too? Do you think I did these justice? Did them justice? You hit the mark and then some! 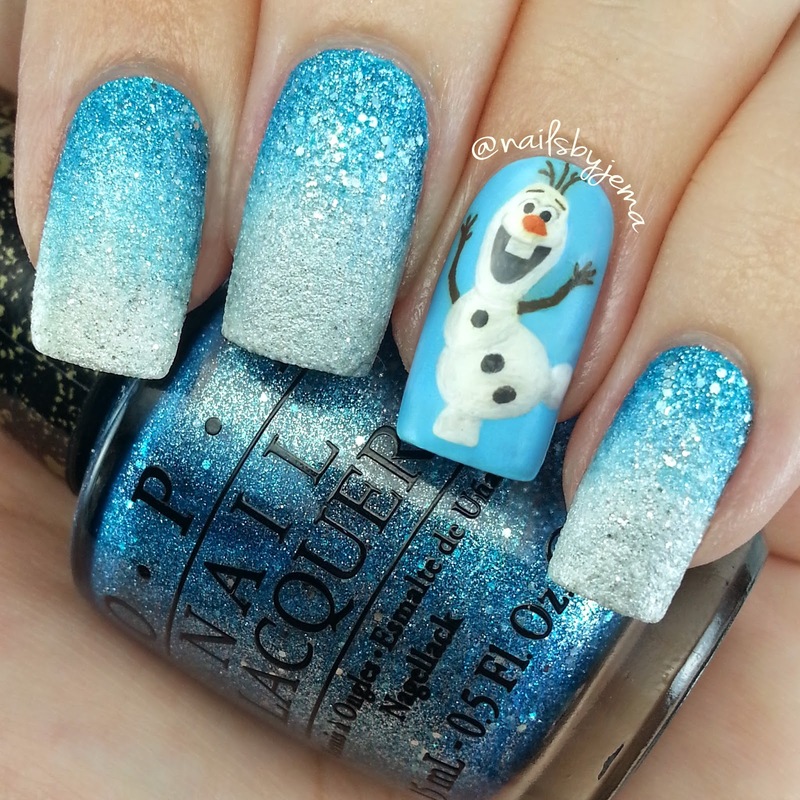 These are absolutely incredible and Olaf looks so perfect! Love the gradient too! While a great part of the nail workmanship plans utilize a blend of nail clean hues, one can likewise include some sparkle into the nail clean before painting to energize your nails.